This is a combination of natural extracts, antioxidants, multivitamins and multiminerals with Probiotic. This combination supports your immune system and natural defenses, help promote vitality and wellbeing. It has been used for unclear thinking, diabetes, and male erectile dysfunction and prevention of the common cold and flu. Blend of natural extracts that is Ginseng Extract, Ginkgo Biloba, Green Tea, Lutein, Piperine adds to antioxidant property of the tablet which helps fight body against free radicals. It is a well-known and extensively researched herb used from many years. It is a known "adaptogen" which has a number of benefits and has no known side effects. Benefits include reduced fatigue, increased concentration and energy. Ginseng is used for anxiety, chronic fatigue syndrome (CFS), for boosting the immune system. Green tea Extract and its supplements generally contain higher amount of disease fighting anti-oxidants called polyphenols. A plethora of evidence suggests strong antioxidant potentials of tea flavonoids in suppressing the production of excess free radicals. Lactic acid bacillus is a genus of Gram-positive facultative anaerobic or microaerophilic rod-shaped bacteria. Lactic Acid Bacillus is used as a probiotic to help treat and improve conditions like IBS and stomach problems. Grape Seed Extract is beneficial for a number of cardiovascular conditions. Grape seed extract may help with a type of poor and high cholesterol. Grape seed extract also reduces swelling caused by injury. Vitamin D3 is required for the absorption of calcium and phosphate from the gastro-intestinal tract and for their transport. Cholecalciferol is absorbed from the gastro-intestinal tract into the circulation.Vitamin D metabolites are bound to specific plasma proteins. Benfotiamine is one of the most effective yet overlooked treatments for preventing the debilitating complications of diabetes. Benfotiamine is a chemical sibling of the essential nutrient thiamine. Folic acid is reduced in the body to tetrahydrofolate which is a co-enzyme for various metabolic processes. Folic acid is absorbed mainly from the proximal part of the small intestine. Some folic acid is distributed in body tissues, some is excreted as folate in the urine and some is stored in the liver as folate. Vitamin K is known as the clotting vitamin. Vitamin K helping the blood clot, preventing excessive bleeding. Unlike many other vitamins, vitamin K is not typically used as a dietary supplement. Zinc is a constituent of many enzymes and is, therefore, essential to the body. 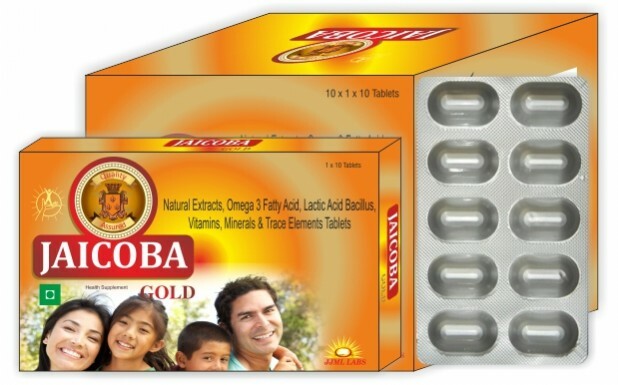 Zinc is poorly absorbed from the gastro-intestinal tract. It is widely distributed throughout the body. It is excreted in the faeces with traces appearing in the urine. Pyridoxine, once absorbed, is rapidly converted to the co-enzymes pyridoxal phosphate and pyridoxamine phosphate which play an essential role in protein metabolism. Convulsions and hypochromic anaemia have occurred in infants deficient in pyridoxine. Traces of copper are essential to the body as constituents of enzyme systems involved in oxidation reactions. Copper is absorbed from the gastro-intestinal tract and its major route of excretion is in the bile. Silicon is an essential trace element, deficiency of which has been reported in man. Deficiency of selenium in the diet of experimental animals produces fatty liver followed by necrosis. Omega-3 Fatty acid is important components of cell membranes and are precursors to many other substances in the body such as those involved with regulating blood pressure and inflammatory responses. Iodine is an essential constituent of the thyroid hormones. Iodides are absorbed and stored in the thyroid gland as thyroglobulin. Iodides are excreted in the urine with smaller amounts appearing in the faeces, saliva and sweat. The biochemical functions of nicotinamide as NAD and NADP include the degradation and synthesis of fatty acids, carbohydrates and amino acids . Nicotinic acid is absorbed from the gastro-intestinal tract, is widely distributed in the body tissues and has a short half-life. Magnesium is essential to the body as a constituent of skeletal structures. Magnesium salts are poorly absorbed from the gastro-intestinal tract; however, sufficient magnesium will normally be absorbed to replace deficiency states. Magnesium is excreted in both the urine and the faeces but excretion is reduced in deficiency states. Boron taken orally was completely absorbed by the gastrointestinal system of rats, rabbits and human beings over a very short period of time. Culver et al.reported that total estimated boron intake including both diet and environmental exposure had for the high-borax dust exposure group a mean daily boron intake of 27.90 mg/day boric acid that is consumed by human and animals is quickly distributed to body liquids. Ginseng may make the effect of caffeine stronger, possibly causing nervousness, sweating, insomnia, or irregular heartbeat; may lower blood sugar levels, increasing the risk of hypoglycemia or low blood sugar. Headaches, Elevated heart rate, Nausea, Restlessness, Difficulty sleeping. Store in cool, dark and dry place. Protect from direct sunlight.